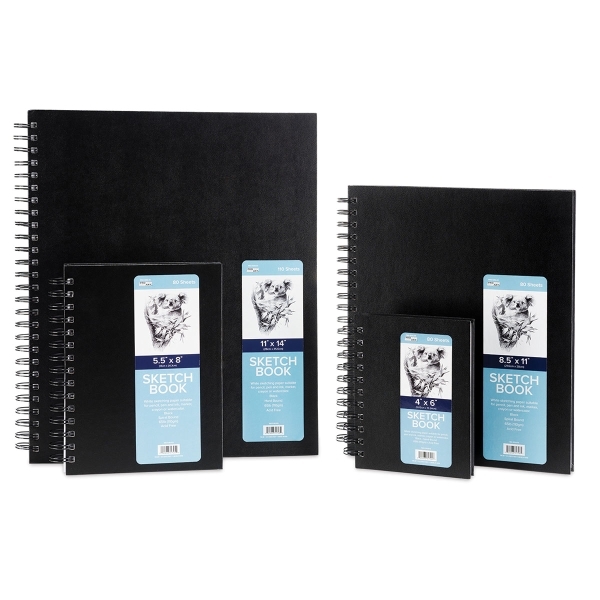 Attractive black leatherette covers make these sturdy, dual, spiral-bound sketchbooks a handsome travelling companion for pencil, and pen-and-ink work. 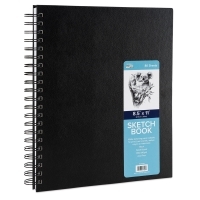 Each contains 160 pages (80 sheets) of acid free 65 lb white sketch paper. Each notebook has micro-perforated sheets for easy, clean removal.